Superior National is located in Cook County, Minnesota, about 90 minutes north of Duluth and 90 miles south of Thunder Bay, Canada. Tucked away in the Minnesota northwoods, between the North Shore of Lake Superior and the Sawtooth Mountain Range, Superior National pairs untamed beauty with unparalleled play - now enhanced by a $4.6 million renovation on the "River" and "Canyon" courses. While there is no lodging located on the golf course, we have built fantastic partnerships with a number of outstanding properties to suit every lodging budget and preference. Each property is packaging the golf to the rooms they offer. Please submit inquiry for a custom package. 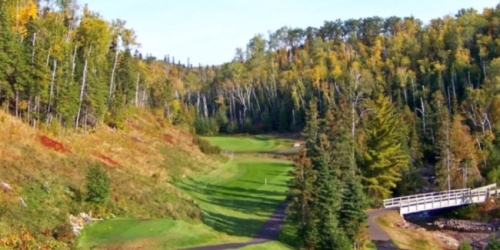 Superior National Golf Course reserves the right to change price and offer at anytime. Prices and offer are subject to change without notice. GolfingMinnesota.com is not responsible for errors posted in this golf package.